Call of Duty WW2 game modes, features and details! Home News Call of Duty WW2 game modes, features and details! Epic. Gritty. Visceral. Three words spoken often at the Call of Duty World War 2 2017 reveal in relation to the heart-wrenching story the new game tells. It’s been 10 years since the last Call of Duty game. 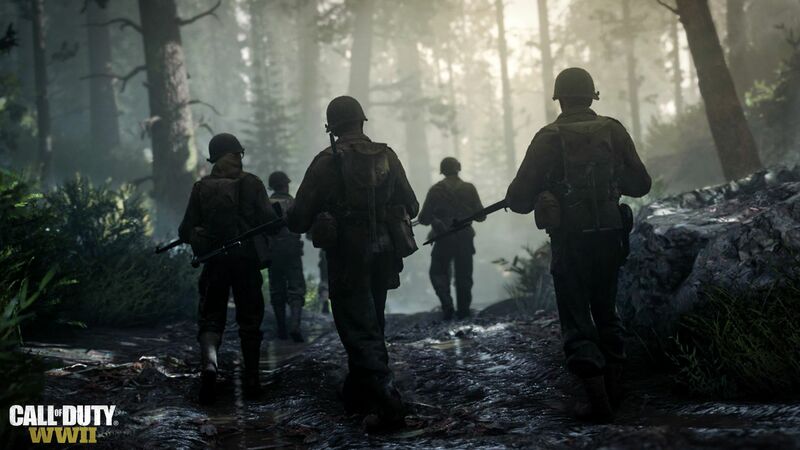 Now, Call of Duty WW2 takes the series back to its roots for new and veteran players. Activision and Sledgehammer Games are responsible for the latest addition to the Call of Duty franchise. Notably, Sledgehammer Games made Dead Space and also developed Call of Duty Advanced Warfare. Call of Duty WW2 preorder is already available and lucky Call of Duty WW2 PS4 players get access to beta before PC and Xbox One. With the recent success of games like Battlefield 1, it’s clearly a good time to introduce a new generation of gamers to WW2. 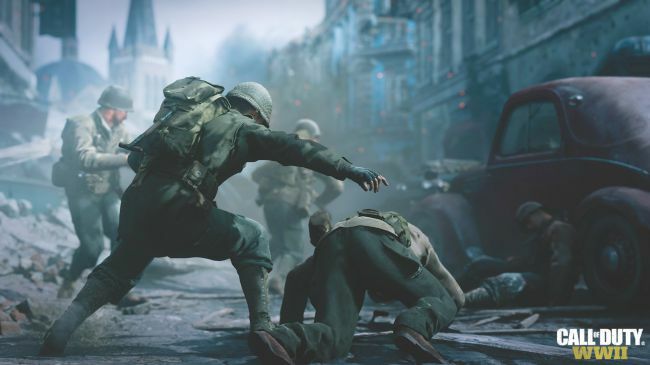 Veterans of the Call of Duty series can rejoice in the series being taken back to ‘boots on the ground combat’. However, developers from Sledgehammer Games also mentioned they wanted to bring new features to the game as well. The Call of Duty WW2 reveal show let us in on a few more details about the upcoming game set to release November 2017. Not a lot of details are revealed yet but E3 is a huge one for Call of Duty fans this year. 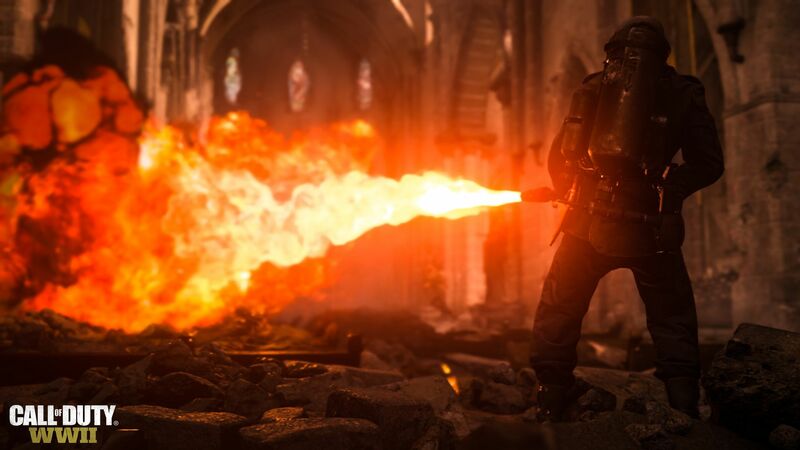 Sledgehammer Games Co-founder Glen Schofield assured everyone that ‘a lot of big stuff’ was coming at E3 and reiterated their excitement to bring play tests to the fans at E3. War Mode: The main storyline mode for Call of Duty, war mode is an asymmetrical ally vs axis. War mode focuses on some of the key iconic battles of WW2 and the intense bonds of brotherhood. Further, in war mode teams will fight for strategic objectives with a defense vs attack choice. Divisions: In Divisions, the player makes a class in a specific division and then ranks it up. There are choices in the type of division a player joins as well as the role they play in the war. Division types include infantry, armored, and airborne. Additionally, players’ role choices include people of color who if allowed in the forces at all, faced segregation and usually restricted to support roles. Further, the role choices include women resistance fighters, and possibly British allies. 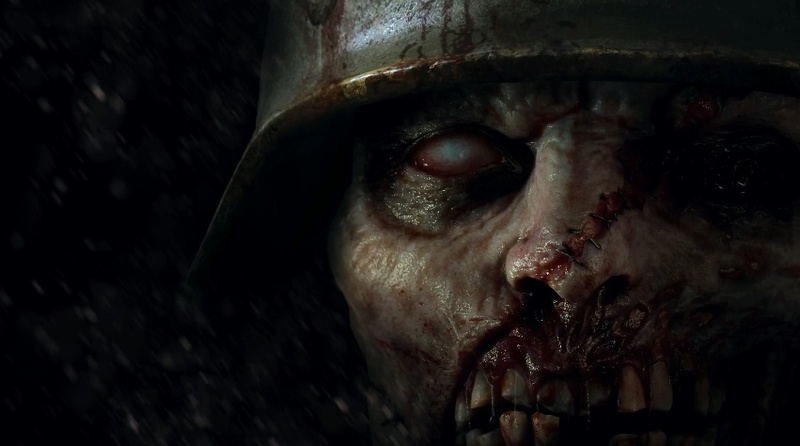 Co-op/Zombie Mode: This is an entirely new story from Call of Duty WW2’s main storyline and provides a horrifying experience. CoD players are introduced to ‘the Third Reich’s desperate attempt to create an army in the final stages of the war’. In a last ditch effort, the Third Reich recruit scientists to experiment on soldiers and the result is, of course, zombies! Headquarters is exactly what it sounds like, base or home where you can access a variety of features. Recently compared to the Destiny’s Tower, HQ is described as a living space where players can have fun outside matches. The aim is to introduce extra ways to engage the community and showcase their skills. From what Sledgehammer Co-founder Michael Condrey said in an interview with GamesRadar, players will interact with each other in many new ways. 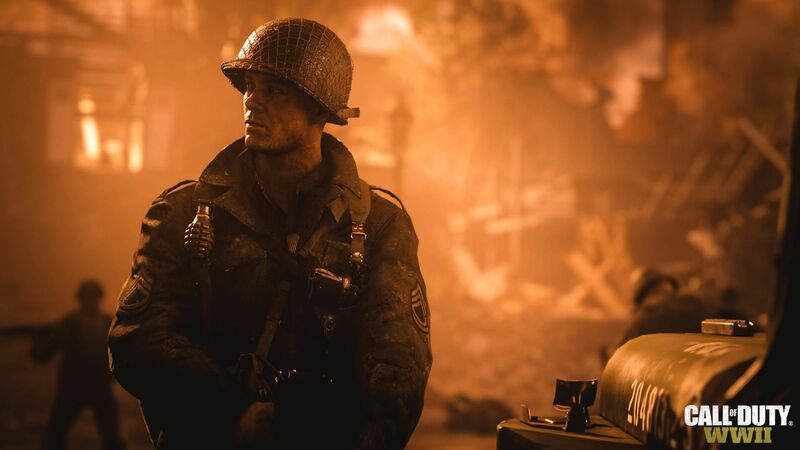 Sledgehammer Games aimed to capture the comradery and teamwork captured in classics like Band of Brothers and Saving Private Ryan. Speaking of teamwork, Sledgehammer’s development team went to painstaking lengths to honor the story of WW2. Creating a realistic, visceral experience from scratch and paying respects was of utmost importance. Audio Director Dave Swenson and his team visited museums and historical armories to listen to audio from WW2. Swenson and his team recorded live sounds of planes, tanks, and WW2 weapons. Further, the audio team trudged through rivers and forests for the most realistic audio for Call of Duty. 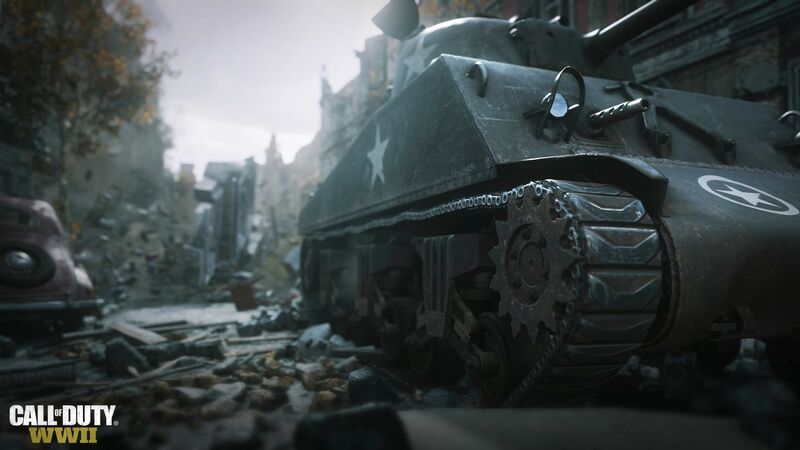 Similarly, the art direction of Call of Duty WW2 is ‘dark and beautiful; emotionally dark but visually beautiful’. Teams visited real life locations for historical accuracy in every aspect of game development. What is more, acclaimed historian and author Martin K.A Morgan was the military advisor for CoD WW2. Teams as well as Condrey and Glen Schofield visited museums, WW2 weapon gun ranges, and spoke with real war veterans. Call of Duty WW2 releases on November 3rd for PC, PS4, and Xbox One. Check out some Call of Duty WW2 images and reveal trailer below. Previous articleNew Vampire action RPG, Code Vein looks insane!